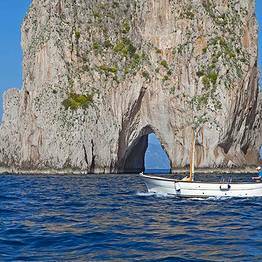 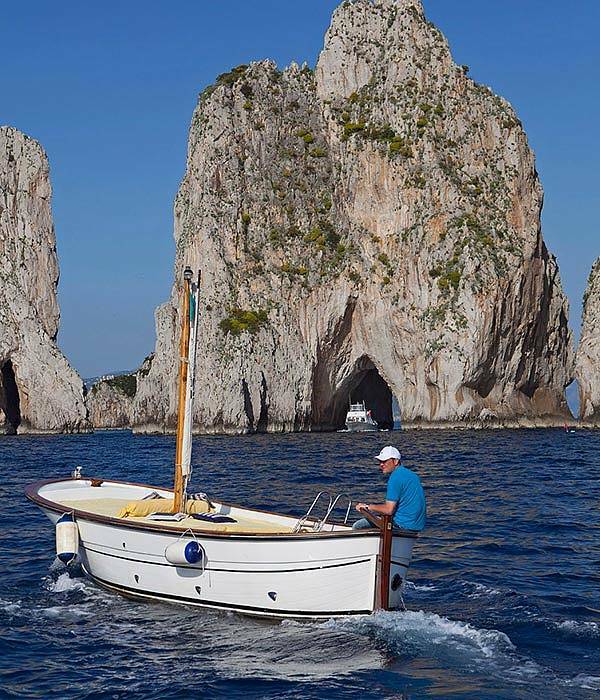 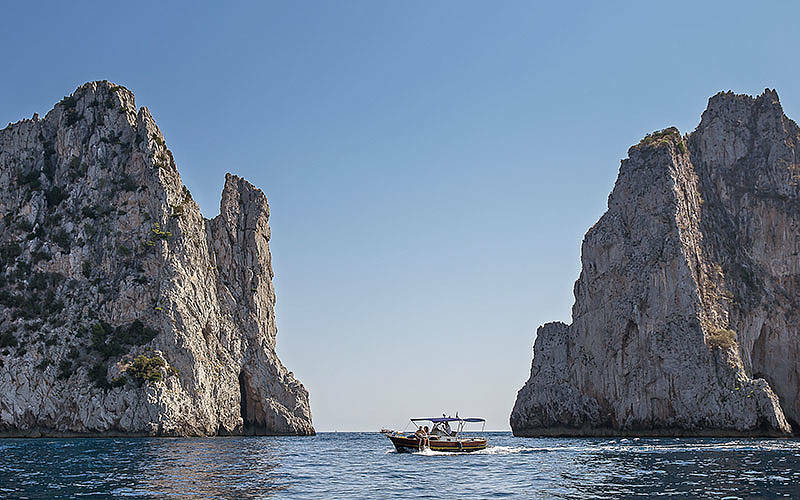 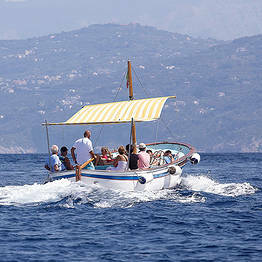 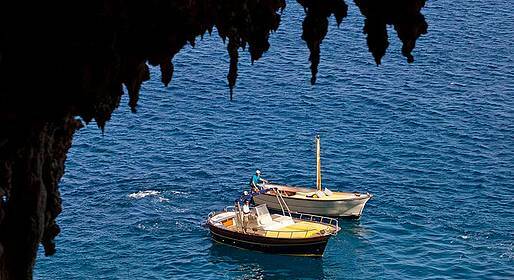 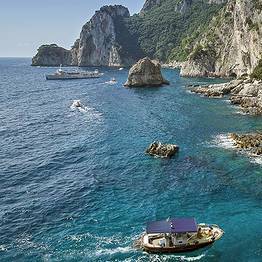 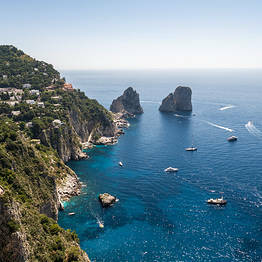 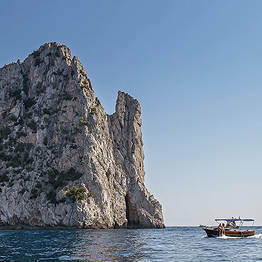 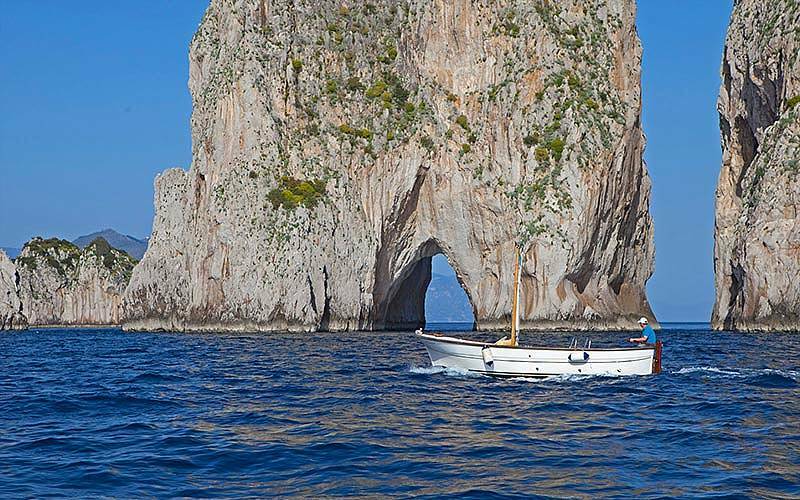 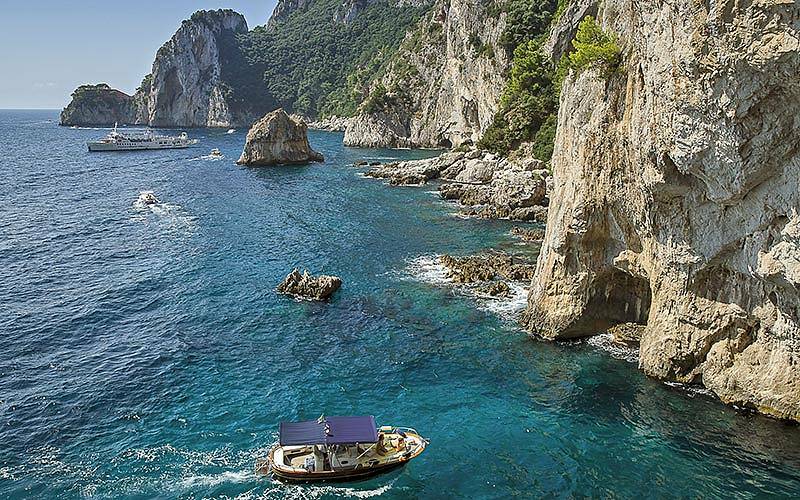 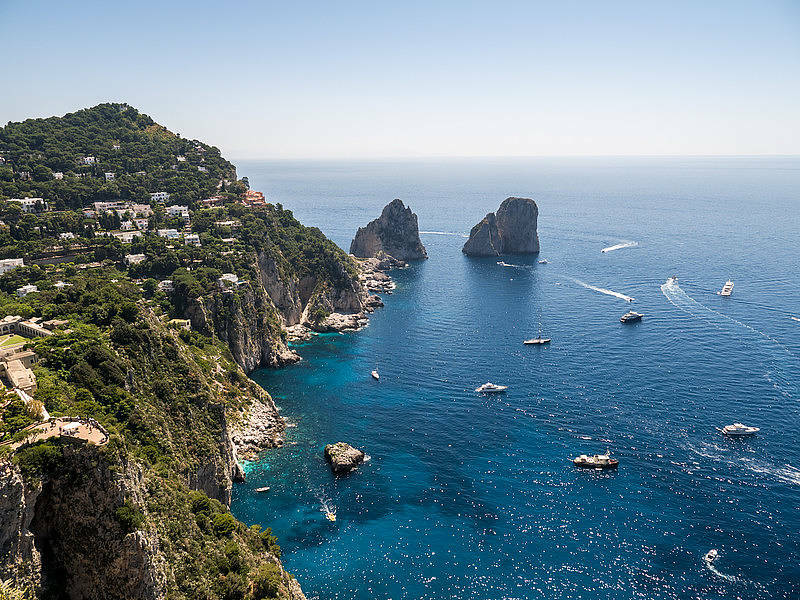 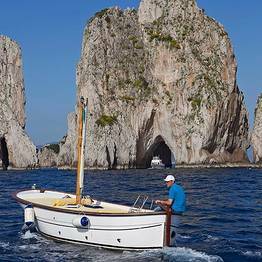 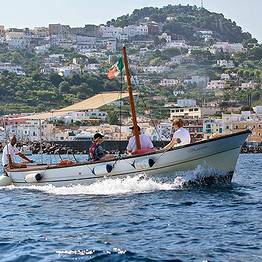 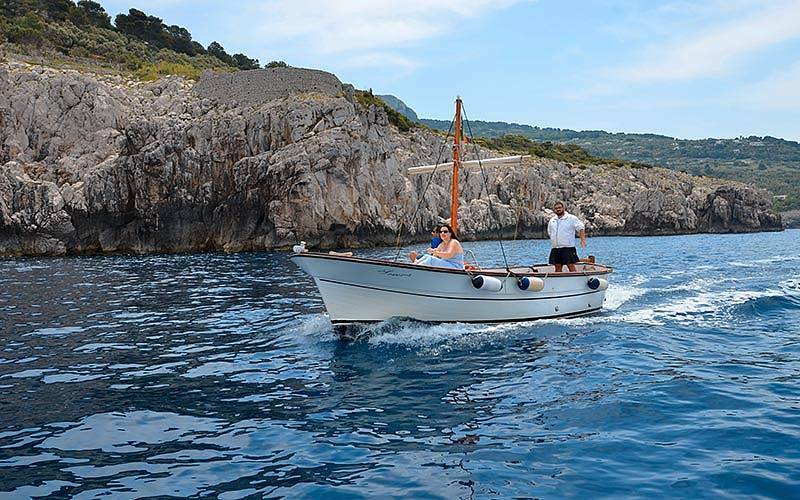 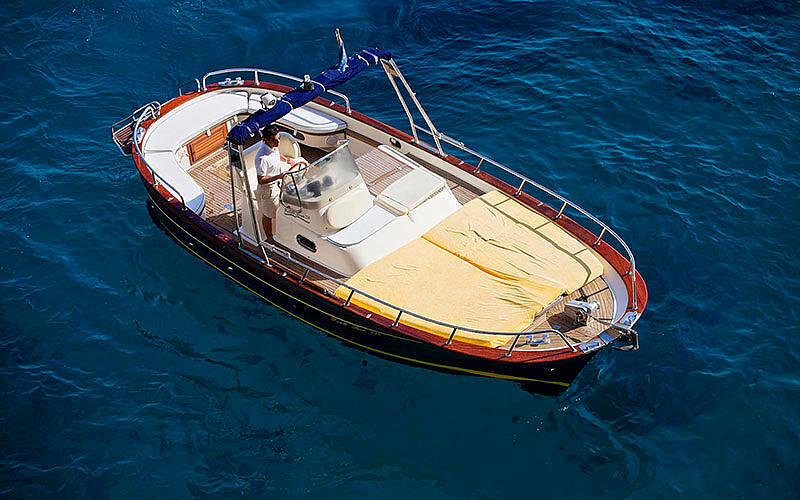 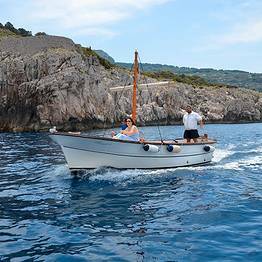 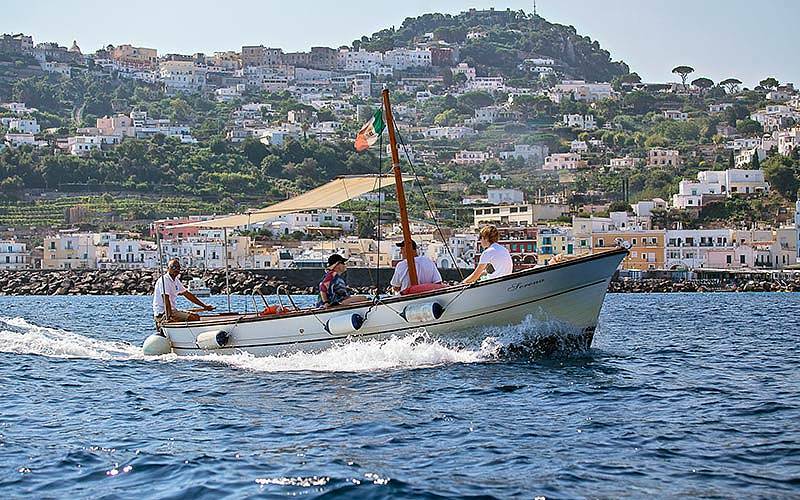 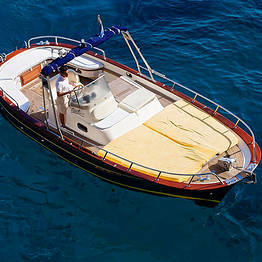 Spend a day on a traditional gozzo boat Apreamare (with cabin and bathroom) exploring the most beautiful sea caves and coves along the coast of the island of Capri, stop for a dip at the foot of the Faraglioni, and leave your cares behind while relaxing on the sea off Italy's most beautiful island. 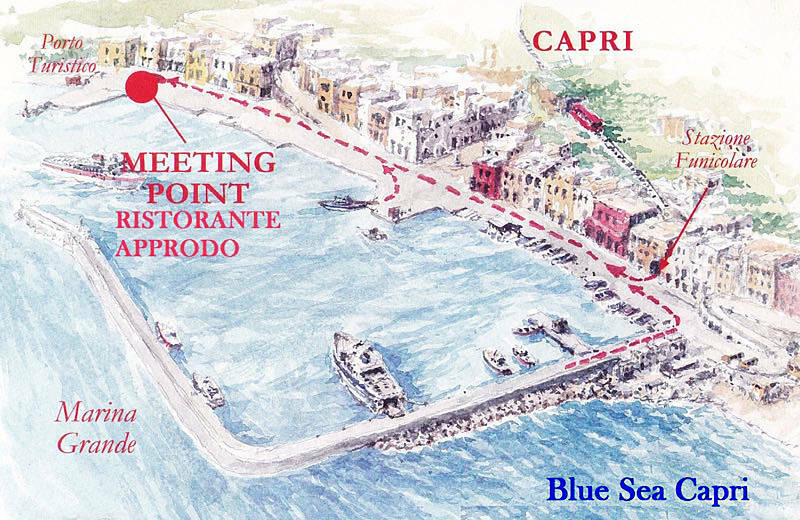 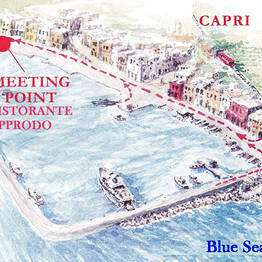 Blue Grotto visits are optional; we can stop for a swim in the Green Grotto if the wait is long. 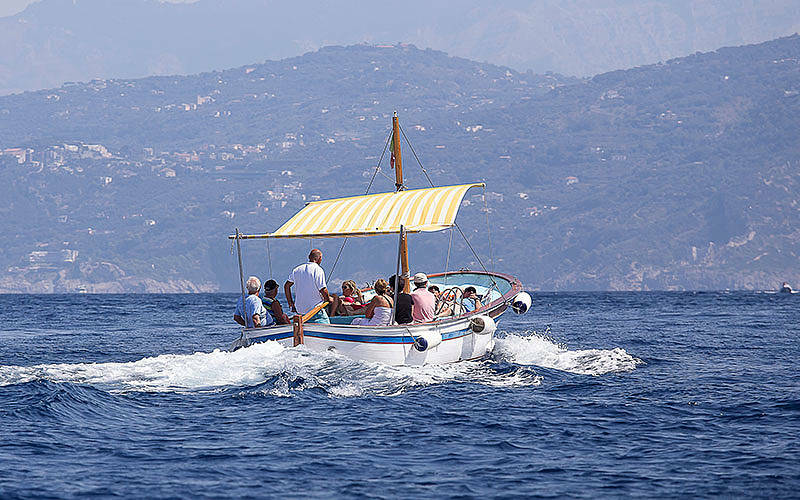 Caprese sandwiches (mozzarella, tomato, and basil) a picnic, wine, or prosecco can be provided on board.